Here’s a little distraction from bad health (mine and the world’s): a bit of art history for your Monday. 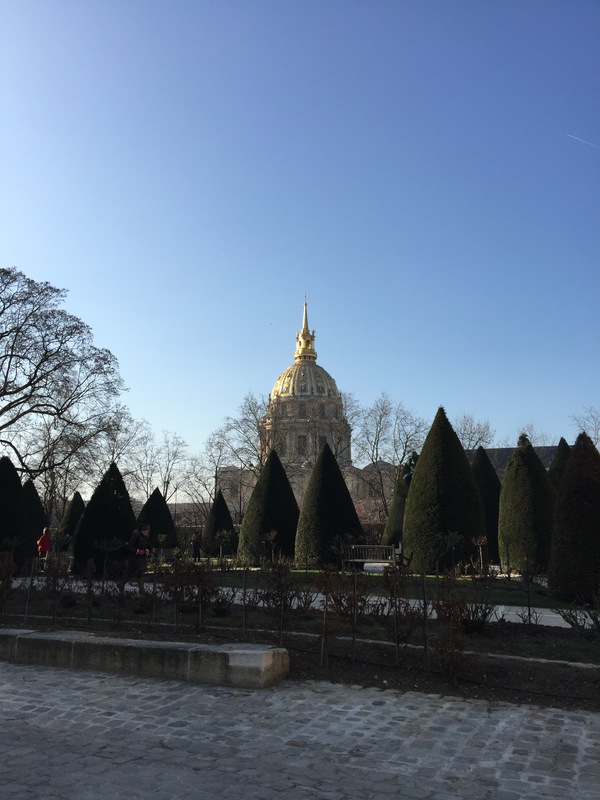 Last week, I was mooching around Paris waiting for my fellow travellers to arrive. 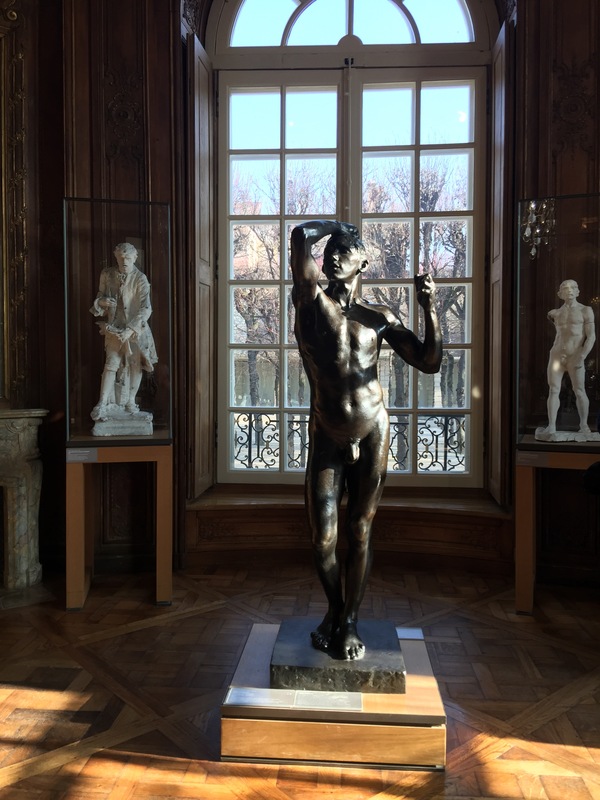 Although it was minus 5 degrees, the sun was shining, I had many layers on and an hour to kill, so I decided to visit the Hotel Biron/Musée Rodin (which is half indoors, half outdoors). Auguste Rodin himself lived and worked there, leaving his archives and studio contents to the French state when he died, on the condition that a museum dedicated to his work would be established. The garden area was restricted in a vague way, giving the impression that they were replanting, but a few days later I found out that the Christian Dior Spring 2017 Couture collection was being shown there in a big tent during Paris Fashion Week. Sneaky. Anyway, the museum as a whole was glorious, but I made a Brussels-related discovery. 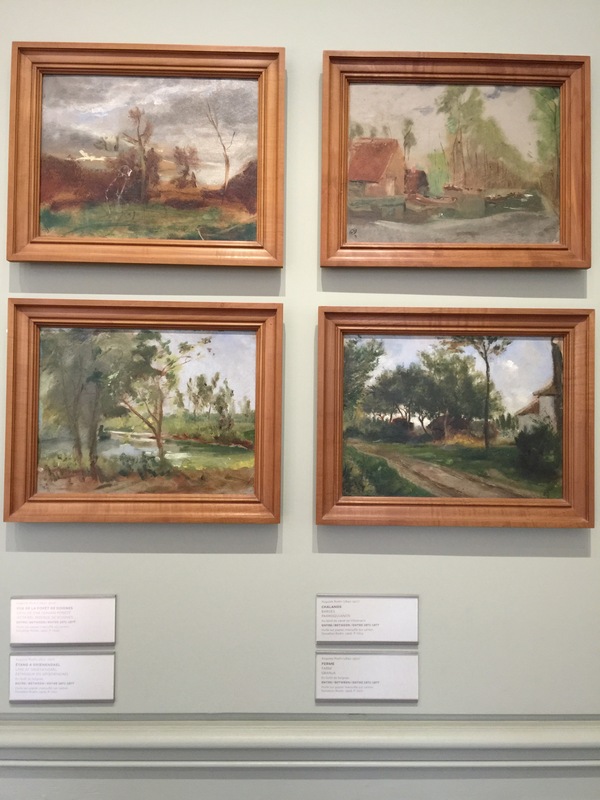 Before he started his life as a sculptor, he did some paintings based in various places around Brussels, including the Foret des Soignes, Boisfort and Auderghem. This made me curious. It turned out that the young Rodin was chief assistant to Albert-Ernest Carrier-Belleuse, an ornamental sculptor who was responsible for the decoration of a number of Parisian buildings including the Opera Garnier and the wings of the Lourve. Carrier-Belleuse moved with Rodin to Brussels to work on decorating the Bourse. 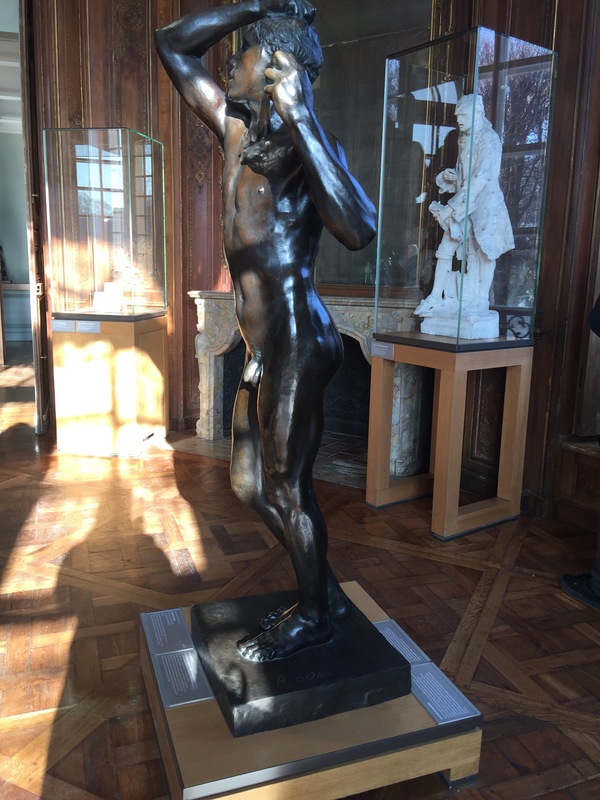 While there, Rodin made connections with other artists and producers so that he could finally display his own work in the Brussels salons. After spending travelling around France and Italy for a while, he returned to Brussels and started working on The Age of Bronze in 1876. The model for this sculpture, which got Rodin in trouble due to accusations of sculptural cheating (who knew that was a thing! ), was a young Belgian soldier, Auguste Neyt (alert: naked photo at the link). 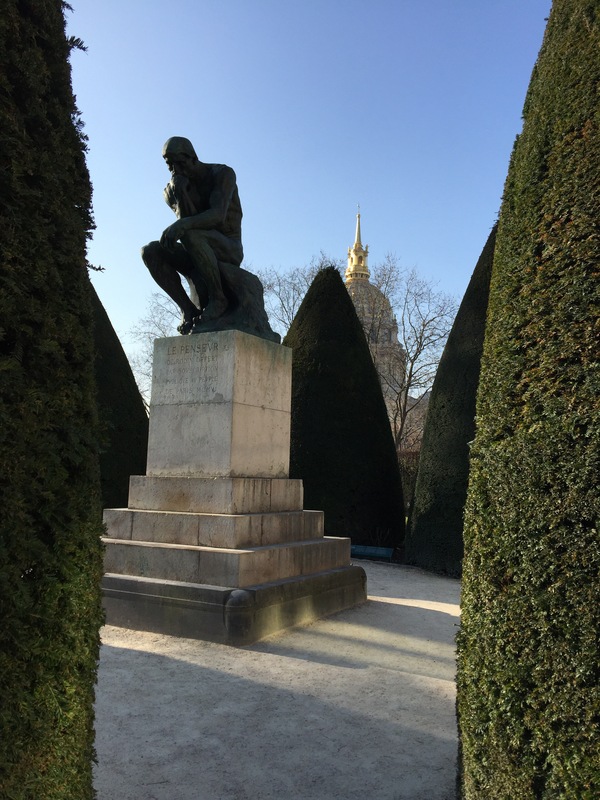 So it was a successful visit and I left wanting to know more about Rodin’s life. 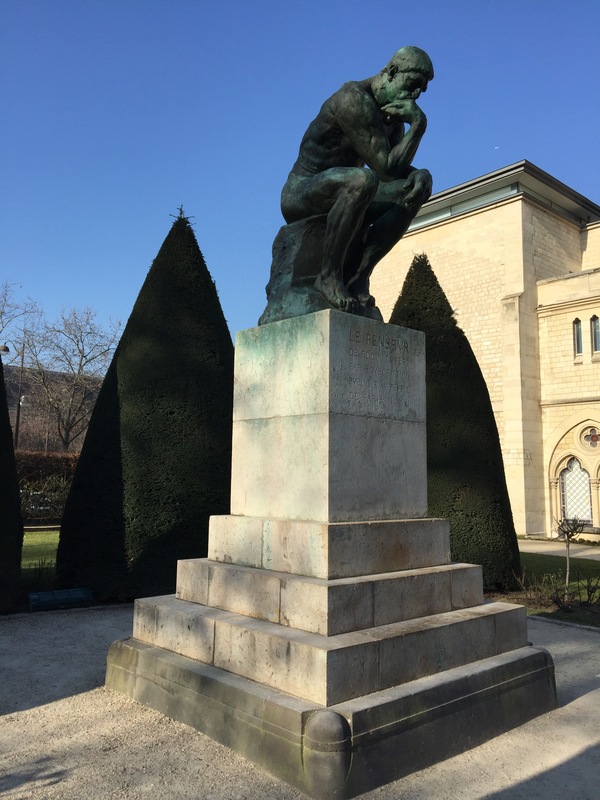 Although his treatment of women was questionable, his talent was definite and I may have to visit the cemetery in Laeken to see another version of The Thinker. Also, if visiting the museum in the future, go on a sunny day.